Back in February, PopCap surprised us by suddenly releasing Bejeweled Live+ exclusively for Nokia Windows Phones. Confusing name aside, that game is basically a mobile version of the phenomenal Bejeweled 3. Well, it turns out that Windows 8 and RT were sorely in need of some Bejeweled love as well. Or should I say Bejeweled Live? 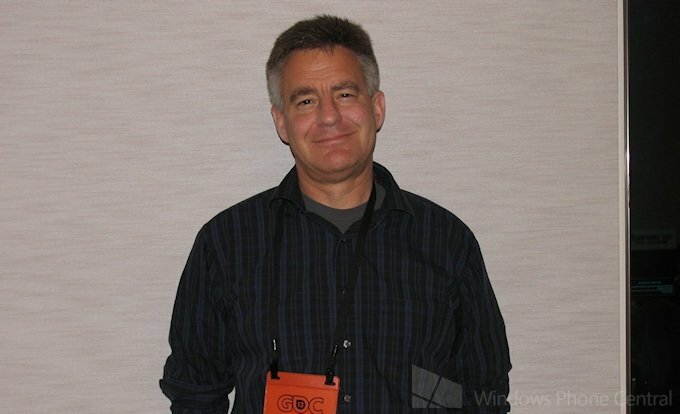 Today at GDC 2013, we had the chance to talk with Jeff Green, Director of Editorial and Social Media at PopCap Games, who kindly demonstrated the Xbox-enabled Bejeweled Live for Windows 8 and RT. Full video and more details after the break! The best thing about Bejeweled 3, other than the addictive match-3 gameplay and ethereal soundtrack, has to be the new modes it introduced. The Windows 8 version of Live includes two of the best new modes as well as the Classic gameplay that started it all and got the world's moms into playing videogames. Classic: An un-timed mode with a focus on trying to score as much as possible. The game ends when the player can’t make any more moves. Diamond Mine: The most unique mode, players actually tunnel beneath the ground in search of treasure. Matches made with pieces that touch the dirt line clear away the dirt. You only have a short time to reach certain depths before they run out of air; succeed and you get a bit more air. Butterfly: Butterflies spawn at the bottom of the screen and move up one space every time the player makes a turn. Making a match of the same color as a butterfly while it occupies that space will eliminate it. If the butterflies reach the spider at the top of the screen, the game ends. Bejeweled Live for Windows 8 doesn’t the Lightning or Zen modes found in the Nokia-exclusive Live+, but new modes will likely be added in future updates. Still, the modes on offer are quite strong and play great on touch screens. It also offers 200 GamerScore worth of Achievements, some of which are unique to this version. Windows 8 and RT users won’t want to miss it. Bejeweled Live should be popping up on the Windows Store within the next few days. It will cost $4.99. Look forward to a full review shortly thereafter! 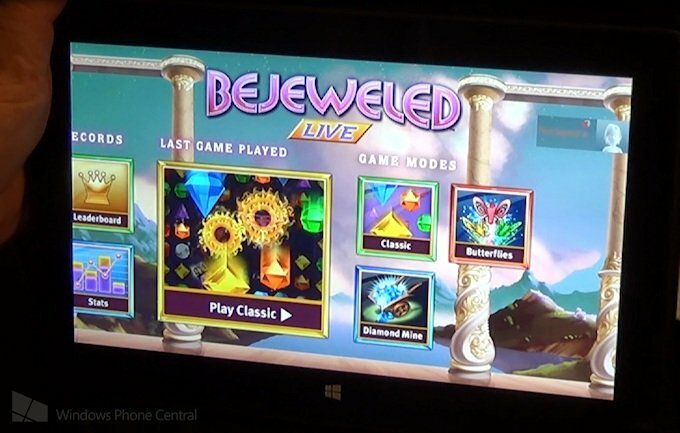 More Bejeweled for Windows Phone and Windows 8? PopCap’s most successful Bejeweled game on iOS by far has been Bejeweled Blitz. It’s a free-to-play spin on that franchise that originated on Facebook. Games last for 60 seconds. Each game you play earns you a little currency which can then be spent on boosts to perform better in future games. Players can also opt to purchase in-game currency with real money, but it’s not necessary to enjoy the game. The whole thing is tied together with strong Facebook friends leaderboard integration. Now, Bejeweled Live+ and Bejeweled 3 already have a Blitz-like Lightning mode that lasts for 60 seconds. But Blitz is really its own thing with a unique presentation and goals. In fact, it’s so popular that EA is now it spinning off into Tetris Blitz for iOS, a game we’d love to see on Windows Phone eventually. So that’s the big question: will Bejeweled Blitz come to Windows Phone and Windows 8 in the future? We didn’t get a definite answer out of PopCap or EA during our meeting, but they did hint that it’s a possibility. If you’re like me, a little Bejeweled will never be enough. Let’s cross our fingers that we’ll be Blitzing on Windows Phones and Windows 8 tablets soon!